In fact, John Coltrane must have felt this way too, because he used Impressions as a vehicle of exploration, time and time again throughout his career. Chances are, the minor chords in these tunes are more like a straight-jacket than an infinite universe to explore, and that they feel and sound totally different to you than the minor chords in Impressions. But isn’t a minor chord just a minor chord? Why is it that sometimes I sound great over a minor chord, and other times I barely know what or how to play over them? Minor chords take on different roles depending upon context. Becoming aware of this context is the first step toward gaining freedom with them. Minor chords are not as simple as most people think because so much of how to play over them comes down to context. 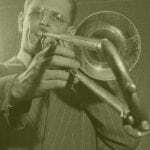 In jazz tunes, context is everything and there’s no one way or correct way to think. You have to try different approaches and use your ear. A minor chord is not just a minor chord, but it’s confusing because in any tune, they have the same chord symbol and will all be called a “minor chord. “ So, how do we determine what kind of minor chord we’re dealing with, and what will sound good over it? How a chord functions within a chord progression is the context. If you understand how the chord is functioning within the context of the chord progression, you’ll have a much better idea of how to play over it, or at least understand why certain things tend to sound better than others. This, although subtle, is super helpful information. The inverse of this, which awesome teacher and player Barry Harris asks in the clip below, would be: How many keys is a minor chord in? For instance, if you have a minor chord, say D minor, how many different keys is it in? Do you know? So the answer is: D minor 7 is in three different keys. Thinking about this information helps give you a concept about how to think about these 3 different minor chord functions in a simple and systematic way. In Rhythm Changes and All The Things You Are, at certain places within these tunes, the minor chords are functioning as ii, iii, and vi chords. This is a minor chord functioning as a iii chord. We also mentioned one other situation: how a minor chord could be the tonic chord, as in Impressions. A minor chord functions as the tonic chord when it is the key of the tune. When talking about how chords function most of the time we’re shown examples from general music theory, which much of the time shows chords as 7th chords a the previous examples did, 1-3-5-7. However, in jazz we’re concerned with the entire chord structure all the way up to the 13th. The differences between ALL of these minor chords is only between their upper structure chord-tones. That’s it. Now before you dismiss this as obvious or dumb, because it is very obvious, just think about it for a second. You may or may not have noticed that the differences only occur in the upper structures, but the real implication is that now you only have 3 notes to worry about that differ between these minor chords. And you know that these differences have to do with the 9th, 11th, or 13th. That’s it. The lower structure, 1-3-5-7, is all the same, but the upper structure, 9-11-13, is where there are slight differences. These differences account for the way our ears hear melodic consonance and dissonance. These upper structure chord-tones may clash with the chord in a harmonic setting (a chord voicing) but what we’re referring to here is the context of a melodic line. In other words, as you solo with these specific upper structure chord tones in a melodic line, they’ll either sound more consonant or dissonant depending upon how the chord is functioning. 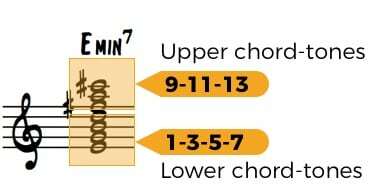 Keep all this info about the upper structure chord-tone in the back of your mind as we explore the specific functions of each minor chords. In general, these notes tend to sound the most consonnant and colorful when played over a minor chord, which is why we like to think of them as our baseline scale. Here’s another big point of confusion though: sometimes chords are not necessarily functioning a specific way within a key center. For instance, going back to Impressions, the second chord in the progression, Eb minor, (the only other chord in the tune) is a half-step up from the first chord. 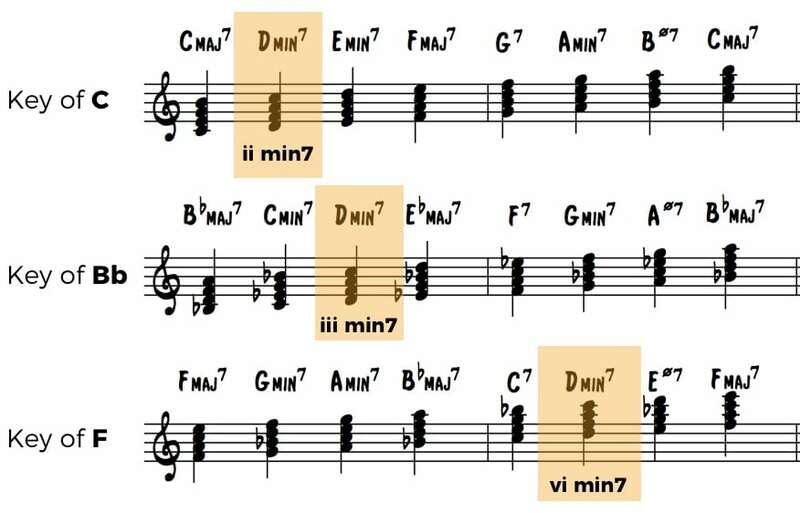 This chord doesn’t really function any specific way – it’s not a ii, iii, or vi within a major key, and it’s not the i, iv, or v in a minor key (the way minor chords function in a minor key). Well, that’s jazz. And actually music…. A tune does not have to follow a particular progression or set of rules. There are no definite “must-do” rules or requirements, only what sounds “good” to the composer and/or listener. The theory can often explain or describe why what sounds “good” works, but it does not dictate what is possible. So what do you play over minor chords that don’t function a particular way? But, yes, what I am telling you is that this group of notes is also consonant for places other than a minor chord functioning as a ii minor chord. When someone refers to the “9th, 11th, or 13th of minor chord”, they mean the notes found in Dorian. We don’t call them “b9” or “b11,” or “b13.” So, these notes are the baseline chord in my mind and why this chord structure for minor is so important. You should know the modes, chord function, and understand music (jazz) theory on a deep level, but, as you gain more and more knowledge through studying your heroes, you should not let theory rule what you do or strictly define how you think about playing over chords. Much of what you will find in practice may not fit neatly into the theory you know. That doesn’t mean it’s wrong or has to fit into the theory. It means that many things are not adequately explained by the theory you know and you need to adjust your mental concept to make room for the things you’re discovering, rather than adjusting your playing concept to fit the theory. 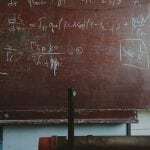 It’s a complicated relationship between theory and practice. They feed each other, but what sounds “good” always wins. Getting minor under your fingers and in your mind, learning the notes from Dorian in all keys, and doing away with the shortcut so you just know the notes for every minor chord is an absolute must. But, as we implant information in our mind one way, we’re unconsciously creating rules for other situations that we will encounter. You see, people tend to grasp the concept of “Dorian as THE scale/chord-tones for minor” pretty well. In fact, almost too well, to the point that it is the ONLY way people think about a minor chord. The best example of this is in the 31st measure of All The Things You Are that Barry Harris talks about in the video we watched before. People often forget that this minor chord is functioning as a iii minor chord in the key of Ab, not a ii minor chord. But, because they’re so used to playing what they know to be minor, this never even occurs to them. Believe me. I’m right there with you! I have moments all the time like this. It’s surprising, but an awesome thing to realize. It’s time to trust your ear and reevaluate some of our hidden assumptions. For a long time when I was younger, I would play Rhythm Changes, and when I got to the 3rd measure where the chart told me to play “D minor 7” I played the notes that I knew to be D minor 7 – The notes from D Dorian, or as I put it before, the notes that I consider to be a minor chord. And even though it sounded wrong, I continued to play over this measure like that, over and over! My ear gave me the feedback I needed. I knew it didn’t sound right, but between staring at the chart and using my brain, with all it’s glorious theoretical knowledge, I convinced myself it had to be right. And there’s the b9 and b6 (with respect to Dorian). So, as you can see, theory is by no means bad, however it would have been most beneficial if I had studied some of my heroes and lines like the Parker ones above, and then used theory to explain and support what I had learned. You may be asking yourself….I’ve heard of Phrygian before. Isn’t “Phrygian” a specific sound or chord? 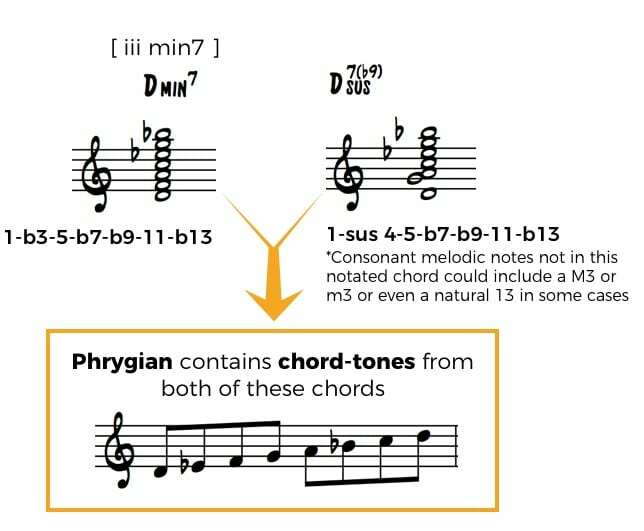 But, when people are talking about a “Phrygian” chord, most of the time they’re referring to a Sus4 b9 chord. Listen to the Kind of Blue classic, Flamenco Sketches. Hear that chord sound at 1:10? That’s a Sus4 b9 chord. Not exactly the same chord as the iii minor chord in Rhythm Changes, right? And you wonder why the chord-scale system is so confusing? Just because the Phrygian mode can be used for a iii minor chord, does not mean that it can’t be used for something else, or that the chord it’s used for is strictly a minor chord. This is super confusing. I know. I get it. And that’s why you should not blindly be applying scales. You have to be extra aware to exactly what’s happening: the specific chords AND how they function. A simple way to do this is to always study chords from the root ALL the way up to the 13th. And in this exercise, you’re defining every chord-tone, for example, if the chord-structure has a minor 3rd, you call it “b3” or a dominant 7th, you label it as “b7”. The important thing is to isolate each chord-tone and say, “Do I know what the 3rd of this chord is? Do I know the 5th? Do I know my options for the 9th?” And you do this all the way up to the 13th. Of course many chords, like altered dominants, have options – you should always do this exercise to examine your options and to actually understand the chord structure, chord-tone by chord-tone. Doing this exercise with both a D minor 7 chord functioning as a iii in the key of Bb major, and a D7 Sus4b9 chord (the “phrygian” dominant chord) will give you a revealing look into why the same Phrygian scale “works” for both. The Dom susb9 chord has no third because its “suspended” as the 4th, hence it can use a major and/or a minor 3rd. It then has a natural 5th, dominant 7th, b9th, 11th (the sus 4), and b13th (although natural 13th can work too). Without going into these chords too much because that’s a whole other lesson, you can quickly see why jazz theory says that the Phrygian scale fits this chord as well as the iii minor. The whole idea of “applying scales” is a slippery slope – one that can help you if you understand context, language and chord structures, or one that can hurt you if you don’t. Aim to constantly focus on the actual chord structures and the chord-tones within them – you’ll then make much better use of any scale, in fact you’ll begin to see both the chord structure and scale as two ways of seeing the same information. This greatly strengthens your mental perspective and overall theoretical concept. Wait these notes don’t sound consonant? I know I did. And even after finally understanding the differences between a “normal” minor chord and a minor chord functioning as a iii or vi chord, you still may be having difficulty actually playing over them. Improvising is not as easy as mixing up a scale. And, like most things in jazz, it goes back to language. Just the mere “knowing” of a scale will not solve your improvisational problems, especially when it comes to these details having to do with how chords function. Knowing what scale “works,” or what chord-tones of the chord structure sound more consonant for a given situation is just the basic mental information you need at your disposal. For example, even if you play the “right” chord-tones for a iii or vi chord, certain chord-tones are still dissonant if you just hold them out for days with no melodic direction. Without having an understanding from jazz language and and aural point of view, it’s quite difficult to use knowledge of scales and chords effectively. Remember: To excel at jazz improvisation, you have to pull apart the minute details and study them. Your goal is a conceptual and useable knowledge of all the information and ideas you’re discovering. Be on the lookout for more instances of the iii and the vi. They’re all over the place. And now that you know that they’re unique, spend some extra time learning to approach them. Let’s go back for a second…remember that freedom we talked about at the beginning of this article when you solo over Impressions? Tonic minor chords, especially in a modal setting like Impressions, have an inherent amount of flexibility to them. Dorian is the baseline scale over these chords as we talked about before, but certain chord-tones like the natural 13th and even the Major 7th which is not actually contained in Dorian, really come to life when held out over the harmony of a tonic minor chord. Yes, you can actually “hang out” on the major 7th over a minor chord in contexts like these if you use your ear to guide you. Simply have your baseline scale in mind, and add in or highlight specific colorful chord-tones like the major 7th or natural 6th one-by-one into your soloing concept as you study and explore how your favorite players make use of these specific SOUNDS. Even though the natural 6th (13th) is in our baseline scale, within the context of a minor vamp or any minor chord that lasts a little while, it’s usually held out and focused on much more in this modal context than in a bebop tune. 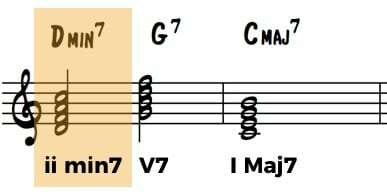 When playing over a tonic minor chords, you can experiment with both of these chord-tones, the natural 6th and major 7th, with great results. 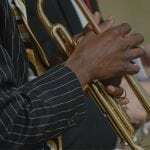 When you’re learning jazz improvisation, not only are you exposed to many different modes for minor chords, you’re generally also exposed to 3 different minor scales, including the melodic minor , harmonic minor, and natural minor. Where do these minor SCALES fit in with minor CHORDS? As we saw before with Phrygian and Dorian, one of the most confusing things about the Chord-Scale System, is that a mode or scale does not always define just one chord sound. While these minor scales have many purposes, especially over dominant chords, they can unnecessarily complicate how to think about and play over minor chords. I already know Natural Minor Scale. It’s the same as Aeolian. I know I can use the major 7th chord-tone over minor chords depending on context. From a theoretical standpoint, this chord-tone comes from the Melodic Minor Scale, which is Dorian with a major 7th. 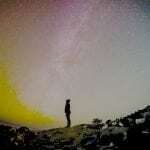 I should learn and practice the Harmonic Minor Scale, but I know that I will primarily not use it over minor chords. I’ll commonly use its 5th mode over a V7 chord or a minor ii V.
This way of thinking does not work at all. The concept of “scale choice” is largely misunderstood. “Scale choice” is not based upon everything that you theoretically can apply to a chord. 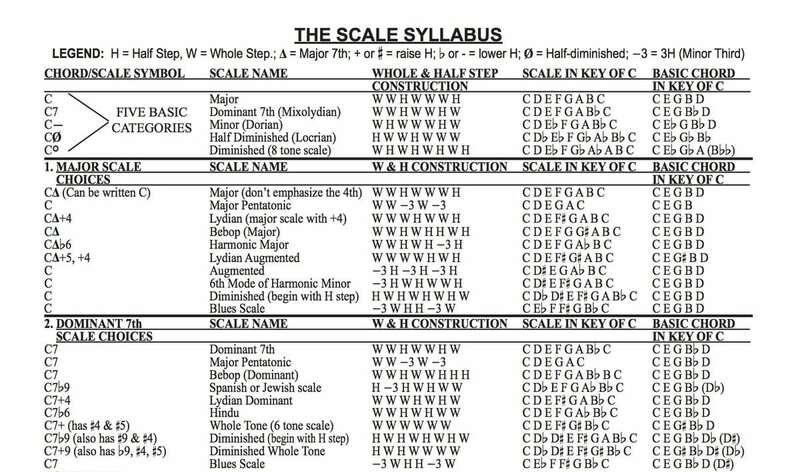 The infamous scale syllabus will tell you that “these are your choices for a minor chord,” but without an incredible amount of knowledge and language, you cannot use this information effectively. Every chord is a specific sound. If you choose to draw from a scale that does not accurately express the sound, and don’t know how to compensate for this, things won’t sound right. How that affects the upper structure chord-tones (9-11-13). You’re not relying on any one piece of information, but instead using several pieces of information to form a mental foundation for each chord. That’s pretty much all the theory you need for minor chords to get a solid foundation in thinking about them. But, theory, scales, and chords give you very little instruction for how to use the notes as you solo. To actually learn how to solo over these chords you need to move beyond this information. Use the lines we’ve looked at today to inspire you to find your own minor language from your musical heroes. Start simple, and work up from there, making sure to use your ear during the entire process. Today we talked about scales and music theory more than normal because this is an especially confusing topic – one that makes the most sense by approaching it from both directions. Remember, a minor chord is NOT just a minor chord and that they function different ways. Depending upon the way the minor chord functions, various upper structure chord-tones (9 or b9, 11, 13 or b13) will sound more or less consonant or dissonant. Be aware of this in all the tunes you play and watch out for spots that you may have interpreted the minor chord function incorrectly. Check off everything on this list and you’ll forget that minor chords ever gave you a problem. Good luck!